Mint Cake is a glucose based product flavoured with peppermint. A popular source of energy amongst mountaineers and walkers it is also eaten as a treat. There are white and brown sugar varieties as well as chocolate covered versions produced by Romney's. George Romney Ltd. was first started in 1918 and is now into its fourth generation of the same family. The founder Sam T. Clarke started out as a sweet wholesaler. When he was unable to obtain supplies of Kendal Mint Cake he purchased an old recipe and started manufacturing it himself, later moving to a purpose built factory in Kendal, Cumbria where it is based today. 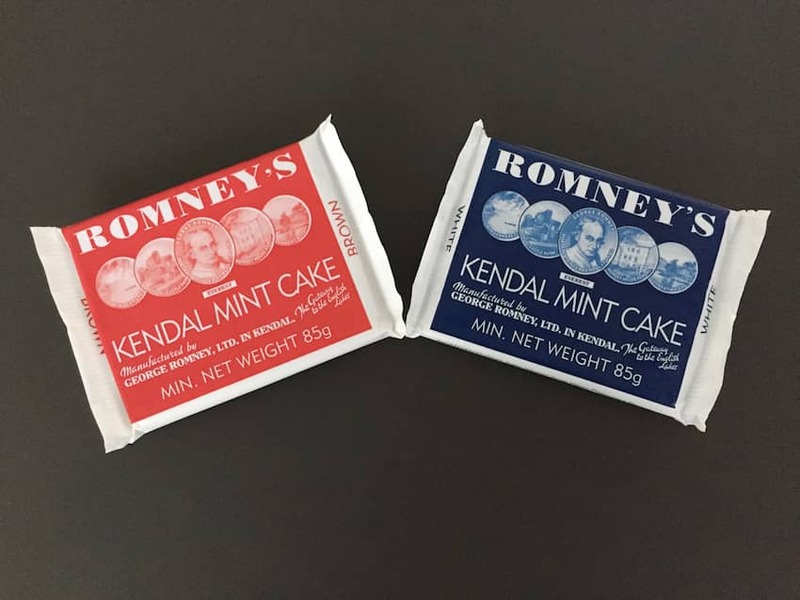 The British Mount Everest Expedition of 1953 took Romney's Mint Cake as part of their government-approved High Altitude Rations and it became a world famous brand.